Unless your team feel you care about them they are unlikely to care much about you, your business or your customers. How your team feel will undoubtedly impact how your customers feel about your business too. When staff feel uncared for they may not show any outward signs of discontent. They come to work on time, they do what’s asked of them and they say yes to your requests. These are also the people who only do the minimum expected and seldom more, they rarely go out of their way to support their colleagues, and are liable to whinge the minute your back is turned. They’re not consciously unhappy, but nor are they enthused, excited or energised about their job. they are like a rotten apple. If we don’t spot them early they bring everyone else along with them. And it’s not always just team members who can have this impact; managers who feel this way are 3 times more likely to have disengaged people in their team. This booklet contains some simple strategies you can implement for next to nothing. 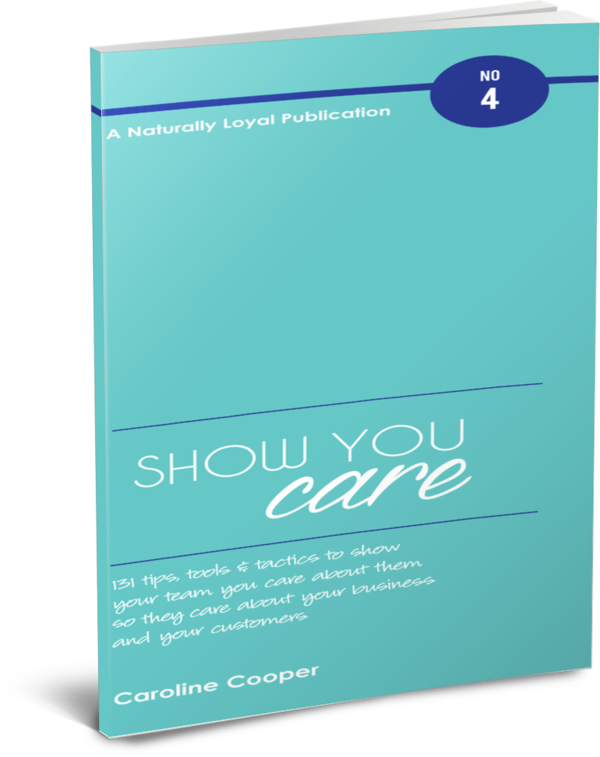 Implementing just one or two of these ideas could be all it takes to show your team you care enough about them for them in turn to care about your business… and your customers.